with extended hours for tax appointments on Tuesday - Thursday until 7:00 p.m.
To schedule to meet with any of our associates, please call our office at (909) 920-5552 to schedule an appointment. Our friendly staff are always available to take your call. The Nevills Company APC is a family owned CPA firm that has been in business for over 25 years. We are a firm committed to offering a superior service that helps you realize your financial goals. We pride ourselves on our integrity and our ability to perform high quality work that meets our clients' expectations. Our experienced staff consists of highly skilled professionals who are enthusiastic and passionate about providing excellent service to each client. We will always go the extra mile to help our clients achieve their financial and personal goals. Gregg, partner of the Nevills Company, brings extensive background in individual tax planning, returns and issues at both the state and federal levels. His former background in accounting and environmental legal issues provides a breadth of skills and expertise. Serving as a Board Member with the Upland Chamber of Commerce keeps Gregg attuned to local developments concerning business growth and expansion. Kristin has worked in supporting the growth of the firm from a single proprietorship to its present form-- The Nevills Company. 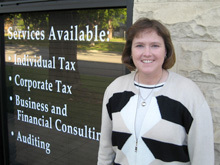 She specializes in business consulting, accounting, financials and tax. Her previous experience in corporate sales and finance combined with her current expertise enables Kristin to offer strong business support and planning. 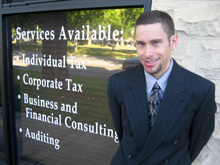 Neil is the founder of the Nevills Company, formally known as Neil D. Nevills, CPA office. In 1970, following work in a local accounting firm and with a solid foundation as a former IRS agent, he opened a private practice. Through the years in this community he has developed an extensive background and maintained expertise in individual and corporate tax matters. 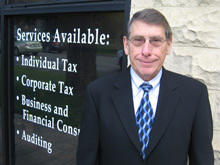 Neil also specializes in financial planning, estates, trusts and audits. He is a former consultant for the Small Business Authority. Involvement in efforts such as Reach Out West End and Upland Senior Housing Board keep Neil attuned to the local community and its business needs.